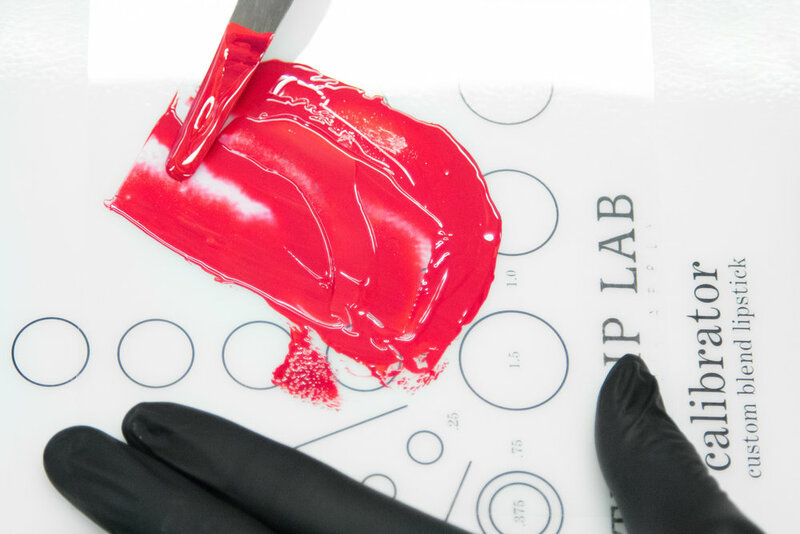 At The Lip Lab Brisbane our experienced mixologists are with you every step of the way. 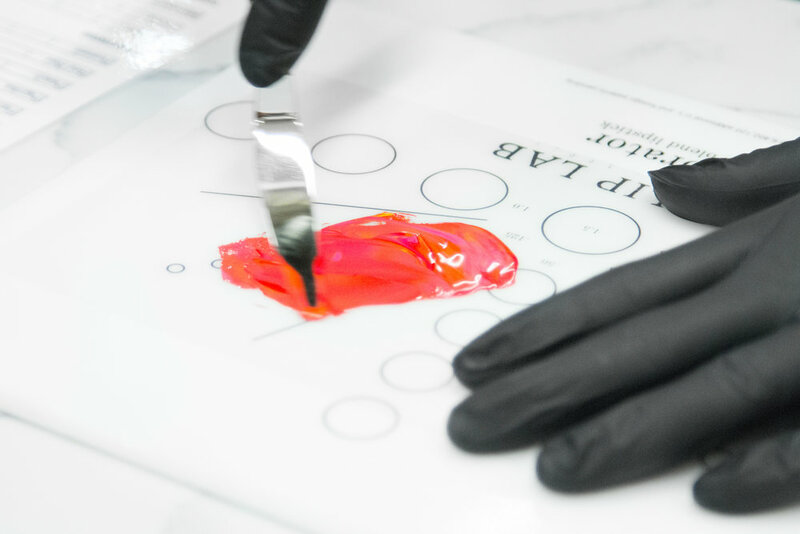 From helping you choose the right colour pigments, additives, flavourings and finish, our team is determined in finding the perfect product for you. 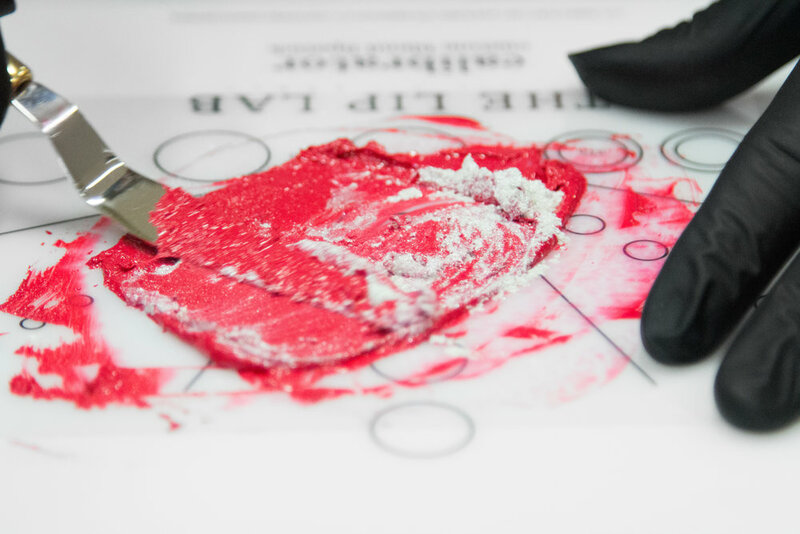 Scroll down to see a sneak peek into the process of creating one of our beautiful Custom Lipsticks. Know Your Colour? Our Mixologists Know Pigments. If you have a shade in mind, our mixologists know exactly what pigments to mix together in order to get that exact match. from BUTTER to vegan, flawless in every finish. Custom select your very own base for your lipstick by adding either a butter, cream, gloss, matte or vegan finish to your fabulous new colour! Flavourings and additives (these are free) are a girls best friend! You can add flavours (eg. mimosa, creme brûlée, pink champagne) and additives (eg. lip plumper, SPF, moisturiser) to give your lipstick a unique flair! Tip: Add a blinding frost to your custom lip at no extra cost! Custom Moulds For Custom LipSticks. We make sure every step of our process is custom and unique to you, which means the moulds should be too! Exclusive to The Lip Lab, the Gothic Mould is inspired by architectural aspects from European Gothic Cathedrals like Westminster Abbey and Basilica of St Denis. Alternatively, we have our classic mould for those who love the angled lipstick tip.